When I first started collecting, there was one set to collect each year and that was it. When I first returned to collecting, there was one set to collect and that was it, too, because that's what I knew. I returned to the hobby by attempting to complete the first card set of my youth, the 1975 Topps set. I had no interest in any other cards (nor really the knowledge of what was out there). I was focused. Slowly, that focus faded and I collected more and varied cards. Then I started a blog, and that blew the doors down. I tried to remain steadfast to a few key missions: whatever '70s or '80s set I was trying to complete and Dodgers. But as the years passed, more and more interesting cards arrived. The collection expanded. 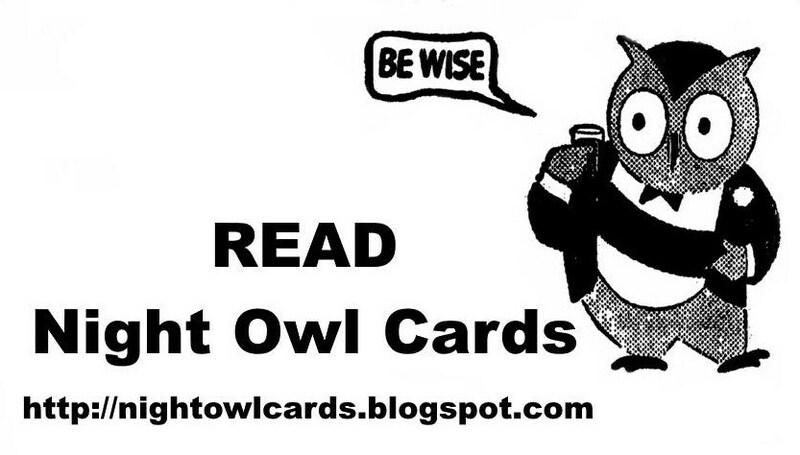 Let's face it: I've been doing this a long time, and knowledge can be a dangerous thing when it comes to wanting cards. So it is that we come to my latest COMC order. It's the annual order I place before the Christmas season hits, before I have to cut myself off from my cash. This order of cards is all over the place, hitting at least nine different collecting missions, and you probably could break it down even more. Pedros. 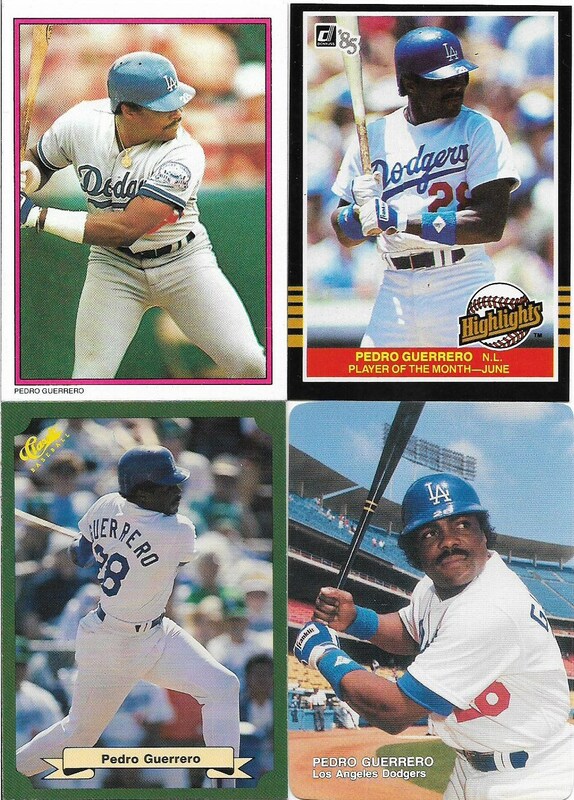 These are a direct result from my Pedro post from a few weeks ago. 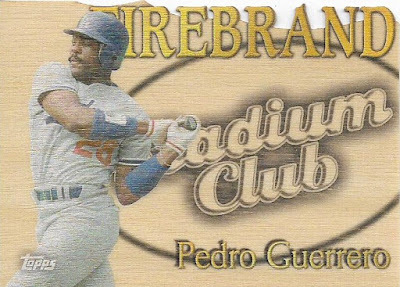 I suddenly found myself on COMC looking for Pedro Guerreros I didn't have and was stunned by the number still missing. I selected these four as must-haves. I also added the Stadium Club Firebrand card up top. Those were a big deal a couple of years ago. I waited until they weren't. Still a big deal to me though. 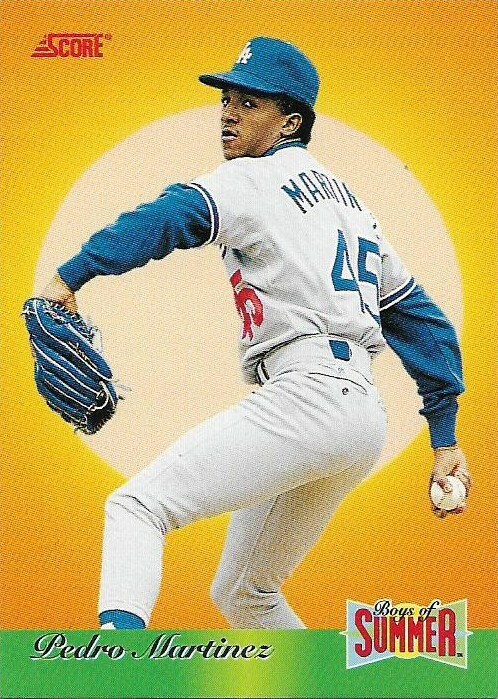 Just one card from the Pedro named Martinez, but what a card. The 1993 Score Boys Of Summer insert set is pretty popular and I can see why. Let's get these out of the way. 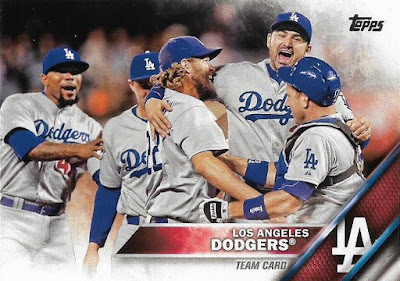 While people are buying these same cards with giant snowflakes on them, I'VE COMPLETED THE SERIES 2 DODGERS, YOU GUYS! As usual when I complete the Dodgers from a set I don't like, let's never speak of these again. I was watching the World Series and it was one of those times when Carlos Santana came to the plate. Every Dodger fan who sees Carlos Santana thinks the same thing. No, not "Oye Como Va," it's Casey Blake. The next thought was "I don't think I own any Santana Dodger cards." 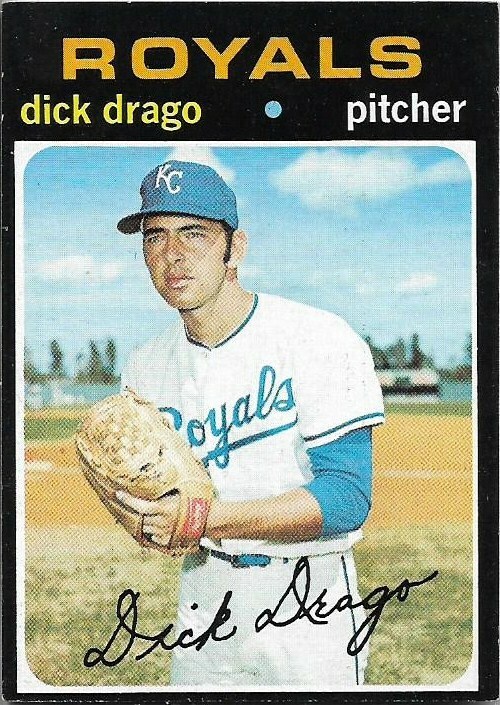 This was a major gaffe in my collection. Santana's Dodger days are now chronicled. When I came back to collecting, the first modern set I collected within the year it was issued was 2006 Topps, along with Opening Day and Upper Deck. I'm still a sucker for the red parallels from Opening Day. Don't think about them much, but when I do -- gimme. I'll take a bit of a break from the Dodgers for a moment. This card turned up when I was searching for something else. I don't remember what that something else was because Rick Reuschel chewed it up and put it in his face! I am a sucker for chaw cards. And Hostess cards, of course. 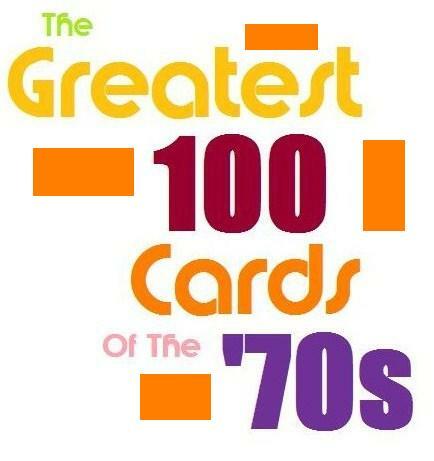 And I promise you the Best 1970s Cards Countdown is coming. I did some more listing just last week. We shall see if Reuschel shows up. 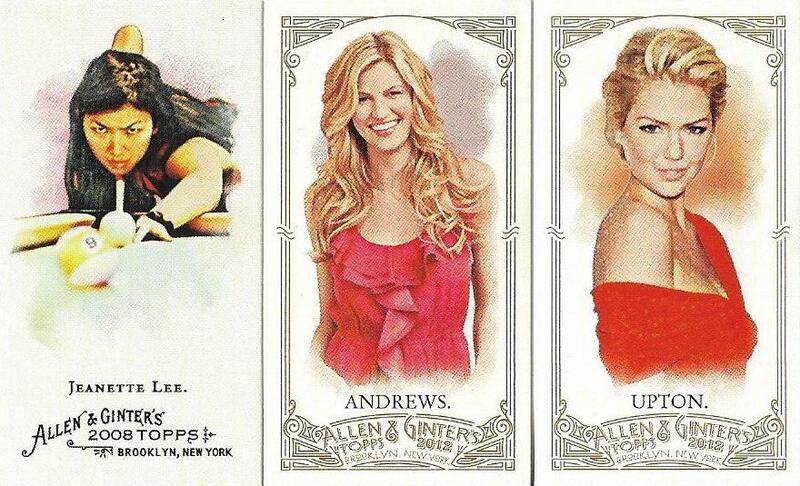 Three lovely ladies for the Allen & Ginter mini frankenset binder. The dudes are dominating the thing and I needed to do something about that. Each of these has a spot reserved in the binder. I checked before I ordered them. Like anyone in their spot had a chance. Back to the Dodgers! When gcrl sent me a bunch of needs from the '01 Legends Of New York set, I knew I would have to finish it off. These were the last three needs. And I can see why it took me so long to land the Duke Snider, judging by how fantastic it is. Yes, everyone, more 1975 buybacks!!!!!! I'm still finding these relatively cheaply and think I can make another order or two before I start running into obnoxiously priced ones. These cards, plus one I got in the mail yesterday, puts me at 111 cards from the set total. That means, at most, 549 to go! ... OK, that's a lot. Whazzis? 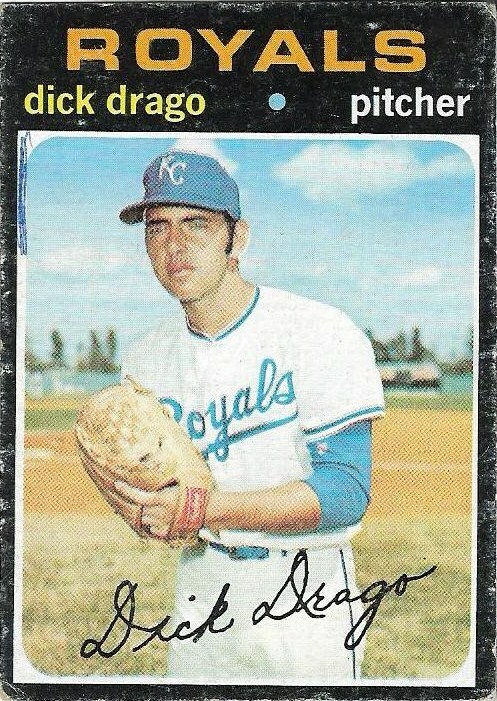 A card from the 1971 Topps set? Haven't I completed this set already? Yes, I have. But this card is the last card in the set, the highest of the high numbers, an often tricky item. 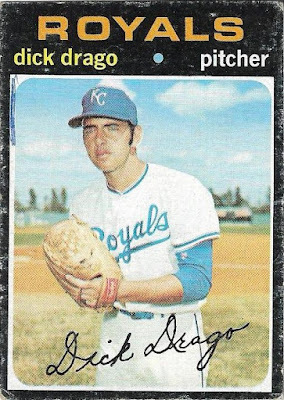 My previous Drago card has a bit of scribbling on it. Someone tried to color in the white border until someone said WHAT THE HELL ARE YOU DOING? The card with the pen mark was perfectly satisfactory for my set completion. But I run a blog on the 1971 set! It's a semi-respectable organization. I wouldn't have even bothered if the new Drago wasn't a little more than a buck and in great shape. That's just nuts. Here is a set that I am currently trying to complete. Bill Virdon, at card No. 661, leaves me seven toughies to go. I'm sorry, I probably won't complete this set before 2017 hits, which is what I wanted. 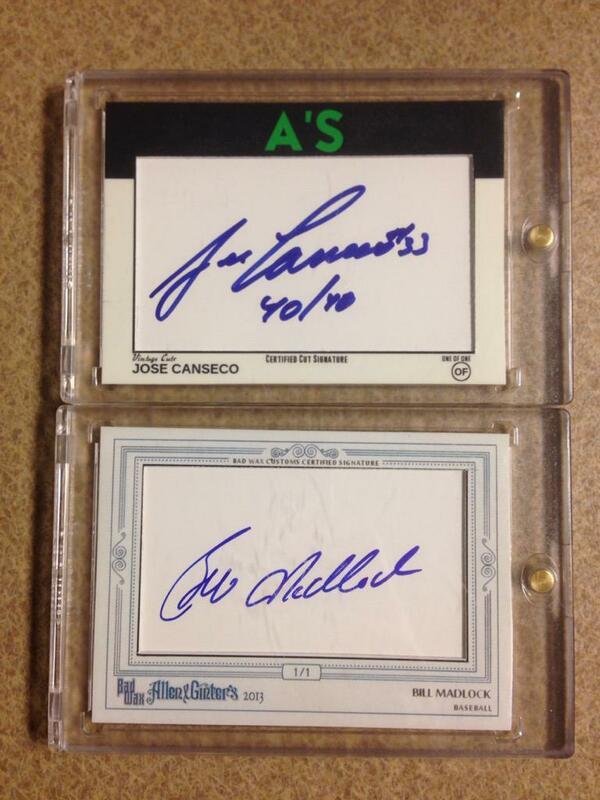 If the cards weren't so pricey, I would have focused on this set like I did the '75 set and '74 and a few others. I like focusing on one set. It's calming and I definitely feel less jittery collecting that way. I have wanted this card for 37 years. 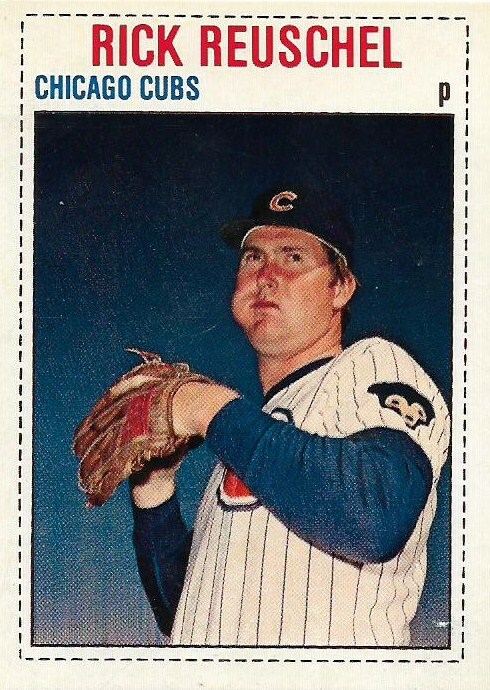 Sure, I forgot about it for a bunch of years in there, but Rose's 1979 Burger King card is never far away from my conscious. 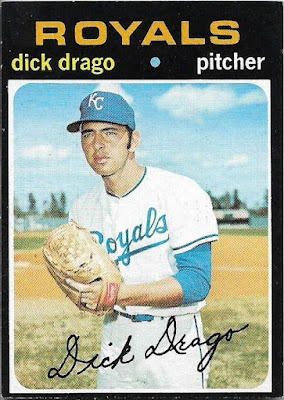 When this card first appeared wherever I was in 1979, I'm sure my mouth dropped. Rose's move from the Reds to the Phillies was major news. And seeing him in anything other than a Reds uniform was stunning. 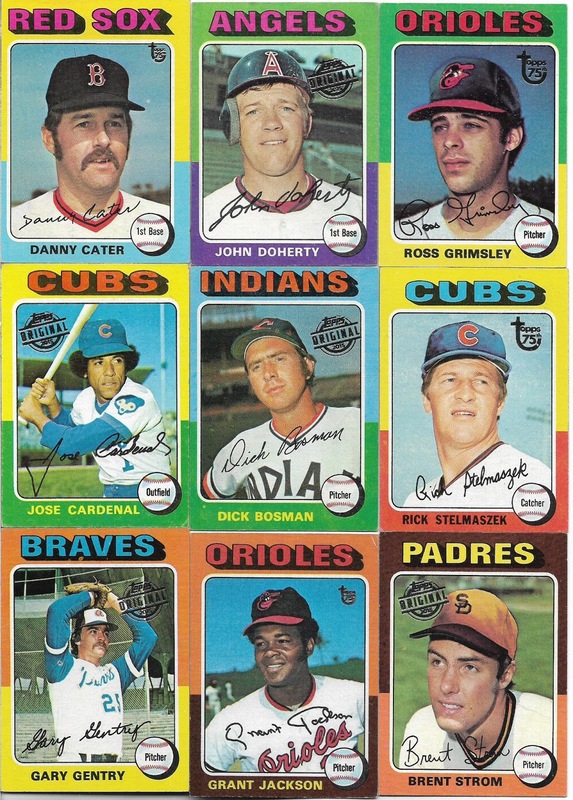 Plus, this was before separate traded sets (excluding '74 and '76). Burger King was it, and, man, was it IT! 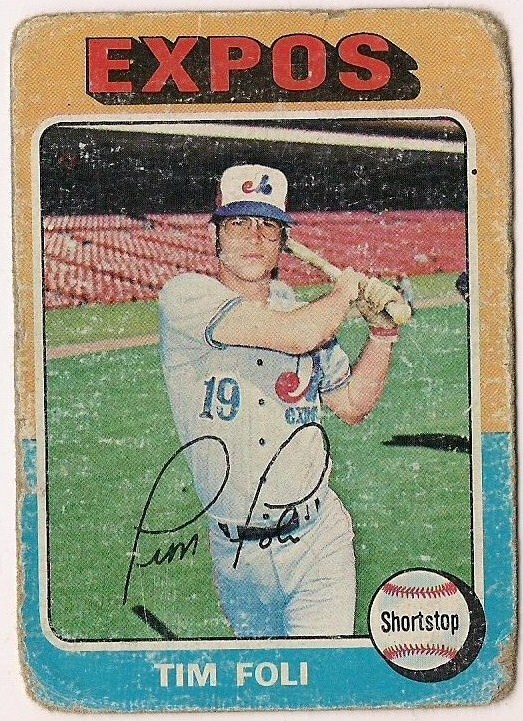 I'm sure at a particular point in time, this was the most desirable card in 1979. Nobody even knew who Ozzie Smith was. So, now, finally, something that I thought was untouchable is now mine. I couldn't have done it if I still had an attention span. Which Fan Favorites set was the best? This is the post that I teased to last week when I wrote those back-to-back posts on Fan Favorites. Out of the three Topps All-Time Fan Favorites sets issued between 2003-05, which set was the best? 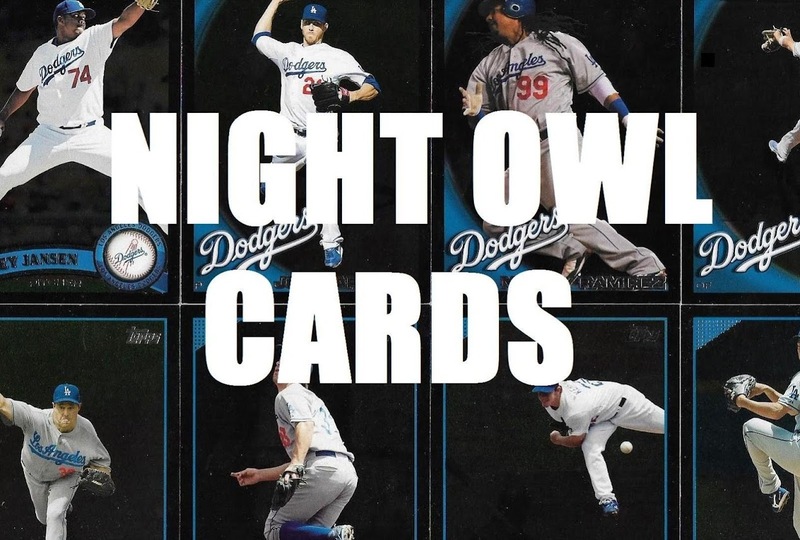 For me, "best" means that the cards themselves properly reflected the player, the team and the design. That's because it's very apparent that Fan Favorites' attempt was to show each player with a team for which they were popular, a "favorite". 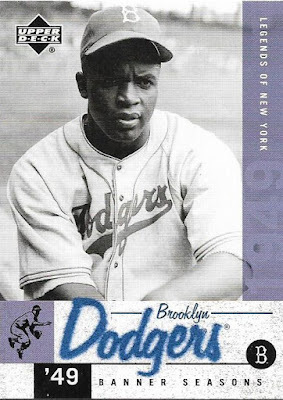 It also tried to pick a year, meaning the Topps design it chose, in which the player did particularly well or was noted in some other way (it was their rookie year, for example). It's the reason why I love the set so much ... that, and all of the new photos that were used. I don't know how you determine accurately which set is the best by looking at every single card in each set. That sounds exhausting. So, what I did instead, is figured out which individuals received a card in 2003, 2004 and 2005. And then determined which card was the best for each individual. Yup, this will be equally as exhausting. There are 35 individuals that received cards in each of the three sets. Many are the players I mentioned on the "most favorite fan favorites" post from last week. So my guesses about those players were probably right (I also may have missed a couple). One player, Reggie Jackson above, received four total cards. He got two in the 2004 set for some reason. Too bad, Reggie, that disqualifies you. I can only consider one card per year. 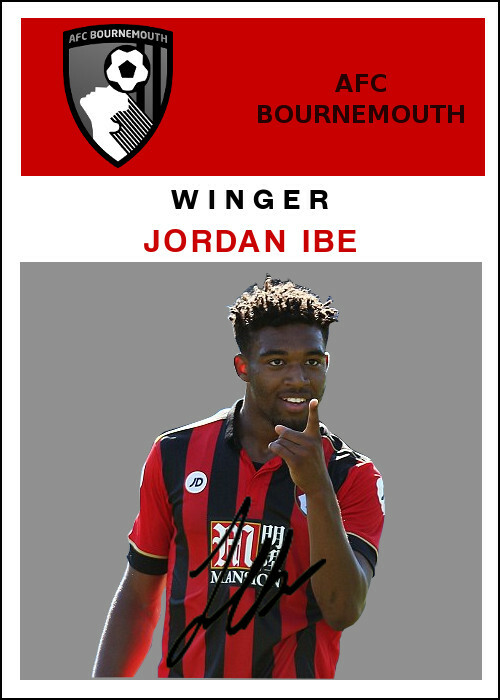 So I'll show the 34 individuals' three cards now with a grading for each players' cards. In most cases, except when a horizontal card is involved, the cards are, from left to right, 2003, 2004, 2005. The green border of Harold Baines' rookie card is well-known, and so is the uniform that the White Sox wore at that time. The 2003 set gets both right, although Baines was wearing the dark Sox uniform on his rookie card. The 2005 card comes close, but I almost gave negative points for the jarring change in uniform styles between the photo and the inset. 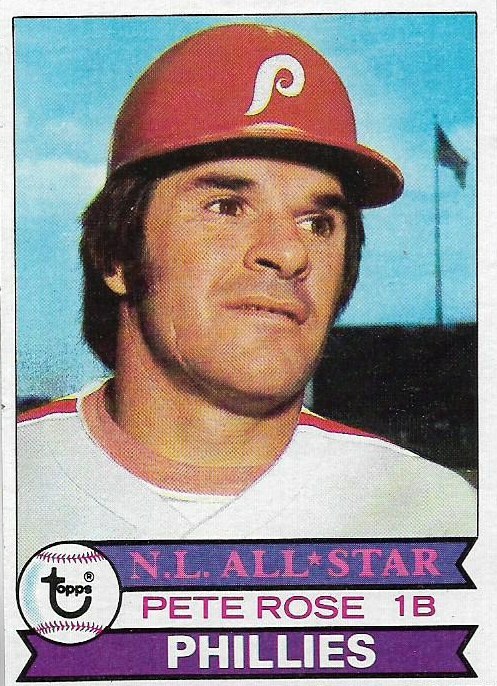 Bench is a weird one for me because the magnitude of his cards from the mid-1970s is such a part of my childhood. 2005 gets a slight edge because it accumulates points in every category, even though the disembodied hands lunging things at him is a bit strange for a photo. The photo on the 1970 card is likely more recent than 1970. I like the 2003 Fan Favorites Yogi quite a bit, so this is a little disappointing. But by 1958, Berra was starting to decline a little. The 2005 Fan Favorites 1973 card, meanwhile, highlights the manager who took the Mets to the World Series that year. The 2004 card, I don't know what they were thinking. That is not a photo of an active major league catcher. Not the greatest reflection of Vida Blue. Topps gets the design right, featuring Blue during his breakout Cy Young year of 1971, but then uses the same design again. 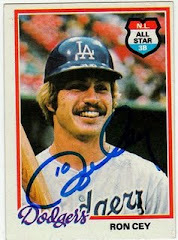 Also, Blue did not have a mustache on his 1971 Topps card. For the Giants card, the 1978 design would have been the better year as he had a better season and started the All-Star Game that year. Personally, I would have gone with the 1983 design (rookie card and a big year) or the 1985 or 1987 design (two of his best years). The 1986 design is in the wheelhouse, but as mentioned in the comments below, the photo is from Boggs' 1993 card. I like the 2003 Fan Favorites card a lot. The 2004 card with Boggs as a Yankee is just wrong, but he did ride on a horse around Yankee Stadium that year. I picked the 2004 card because I break all ties. And I'm a sucker for a mid-1970s All-Star banner. 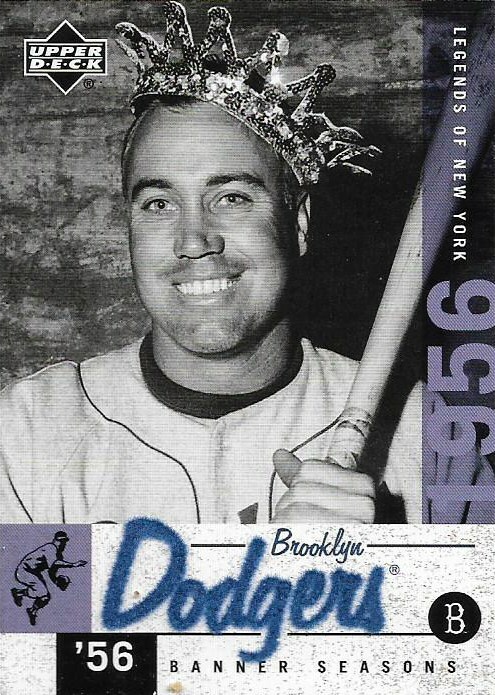 Although I'm supposed to go gaga over Brett's rookie card look, the 2003 Fan Favorites doesn't do it for me. I didn't see this one coming at all, but the 2004 Fan Favorites commits a cardinal sin (ha!) in showing a uniform on a '75 design that didn't appear until 1976. The 2005 card, although I'm bugged that the banner is not as large as they were on the 1965 cards, gets it right across the board. 1965 was Brock's first full season with the Cardinals after absolutely going nuts for part of a season in '64. Another tie, and I'm picking rookie cup Canseco. He was the rookie of year the previous season, so good choice with the '87 design. The 1991 design works, too, as Canseco hit a career-high 44 home runs that year, but using it twice is a no-no when his MVP year of 1988 was ignored. Also the 2004 Fan Favorites looks a lot like this card. The 2003 Fan Favorites shows Rod Carew's July 1977 Time magazine cover shot on the 1977 Topps design. Outstanding. I won't mention that you'd never see a photo like that in the '77 set. Meanwhile, the 2005 Fan Favorites card is all wrong. Nice photo, but I don't even know if we had reached the '70s when that photo was taken. The 2003 Fan Favorites card may have won if not for butchering the team name color (Red?). But in the end, I like Carter as an Expo a lot better. 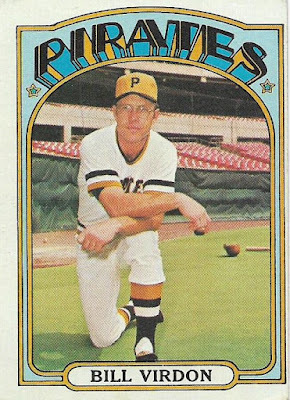 The photo used with the 2004 Fan Favorites was also used in the 1968 Topps set, but I'm not going to take off points for that. 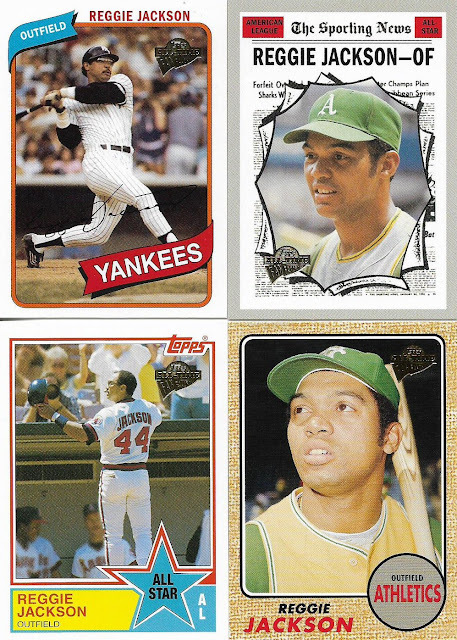 All of these designs are from years in which Cepeda did very well (or in the case of the '68 design, coming off an MVP season). But apparently they don't have any photos of him wearing a Giants cap. Although 2003 and 2004 tied, I'm calling 2003 almost a perfect card and selecting that one. Great photo, design from his MVP year, you can't go wrong. As for the 1990 design in 2005, I would have gone with 1983 with Dawson as an Expo. He was terrific that year. Lot of similarity here with Whitey. The 2003 Ford wins because his 1961 season was bananas. 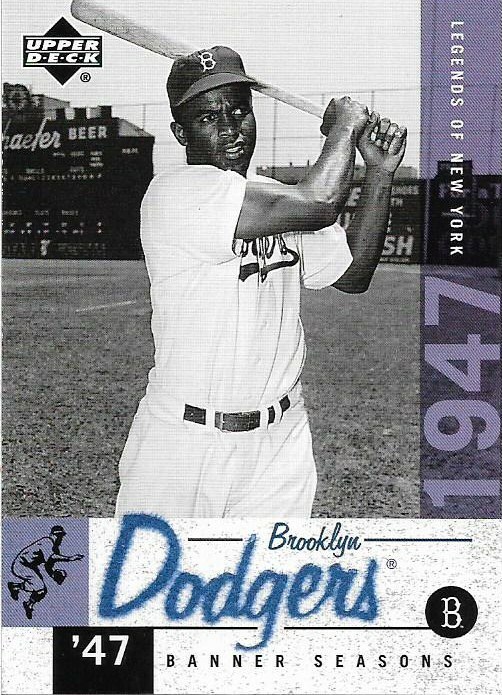 The 2004 card is more pleasing than the others, but his 1954 season didn't particularly stand out. The cards are out of order because of the horizontal card. The 2005 card is on top with the 2003 card at left and the 2004 at right. I picked 2005 over 2004, because, of course, Garvey is a Dodger first. Nice photo of Garvey signing for misguided Padres fans, though. (P.S. : The 2003 Garvey makes up for Wes Parker hogging Garvey's '73 Topps card). It's sad that some people only remember Gooden as the Yankee no-hitter guy. They missed the best part. 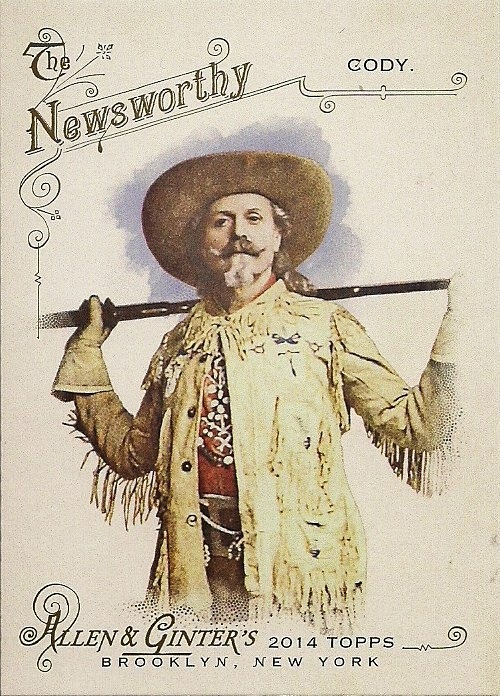 The other two cards show Gooden on designs when he was at his best and most famous. I prefer the photo on the '86 design. Not a good showing by Mr. Gwynn. I don't know why Topps chose the 2000 and 2001 designs -- those were Gywnn's two final years and he didn't play a lot (and why is the 2000 border gold?). The 2004 card, although the winner, shows Gwynn during two different uniform periods. Urg. Sometimes I get the feeling Topps ran out of decent photos to use. 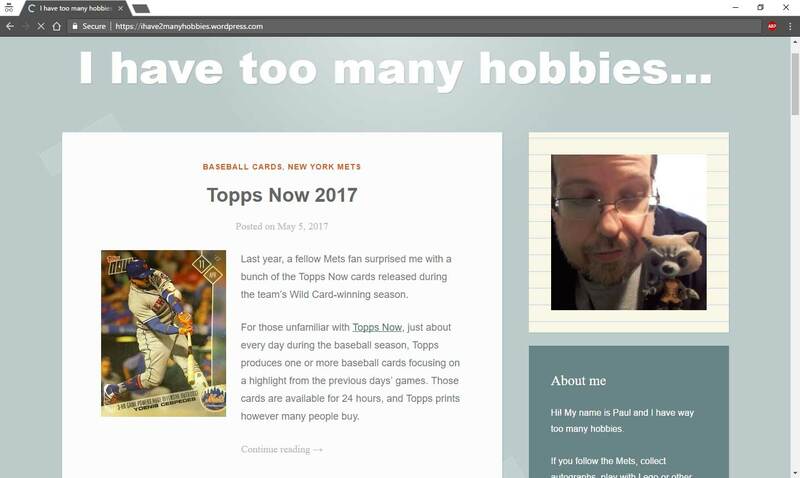 Neither Mets photo is great. But the 2005 Fan Favorite 1984 design wins as it was Hernandez's arrival with the Mets. 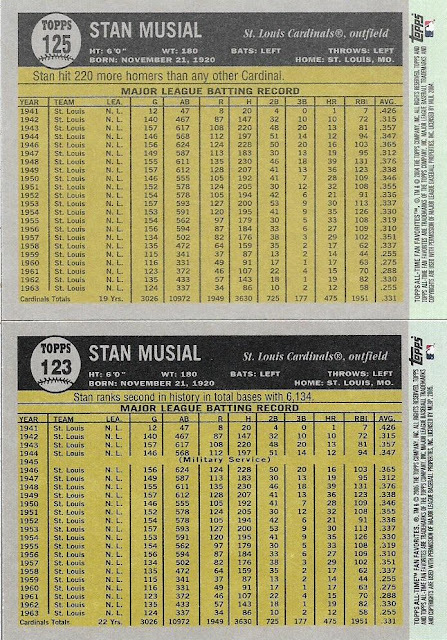 The Cardinals card should have featured either the 1979 or 1980 design as he won the MVP in '79. The 2005 Fan Favorites card edges out the 2003 card because way to get 1951 Topps in there!! 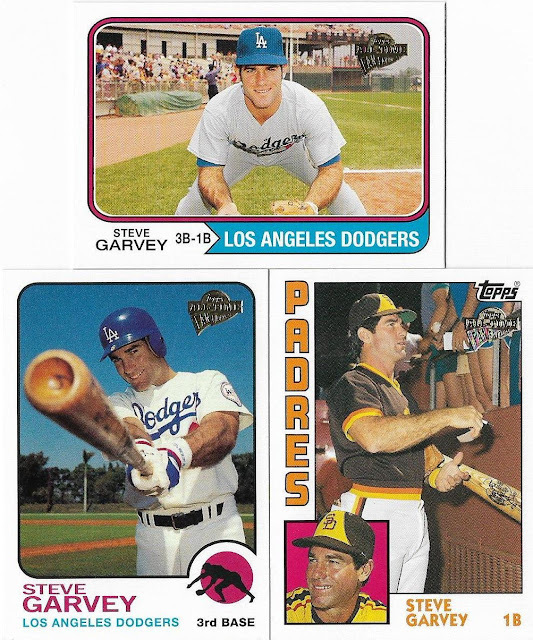 It's interesting to me that players like Aaron and Mays received cards in just two of the Fan Favorites sets but Irvin appeared in all three. Jackson's most sensational period was sandwiched within three years with the Royals. I like the 2005 card with the 1988 design a lot, although it's not as good as Jackson's actual 1988 Topps card. (2003 card is on the top) It's difficult for me to gauge whether '50s players have time-appropriate photos according to the design used. Uniforms barely changed then and everyone had the same haircut. But I went with the 2005 Fan Favorite's 59 design because I like that design the best. 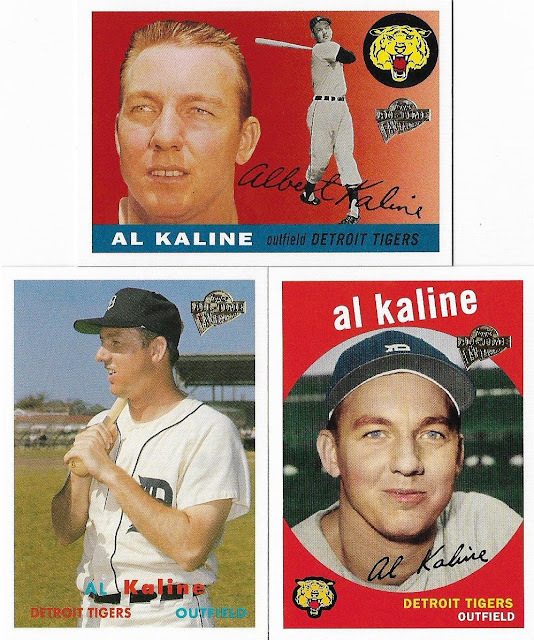 All of these cards feature designs from years in which Killebrew performed very well. But, caught ya, Topps, I believe the photo used on the 1961 design is from 1972 or later (red, white and blue collar is tip-off). 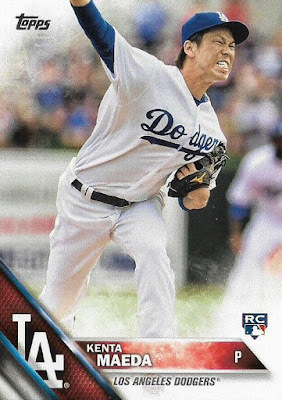 I went with the 2004 '84 design over the 2003 '86 just because of the rookie card angle (yeah, look at me, all about the rookies). But bonus points to 2003 Fan Favorites for using a photo of Mattingly with the black arm band, which I believe is for remembering Roger Maris, which the Yankees wore all during the 1986 season. A rocky showing for Murph. While I love the photo used for the 2003 Fan Favorites, the Braves ditched those helmets in 1980 and they were nowhere to be found in 1985. Also, granted, Murphy's only decent season with the Phillies was 1991, but him as a Phillie is too weird. How about a card from one of his MVP years in 82 or 83? 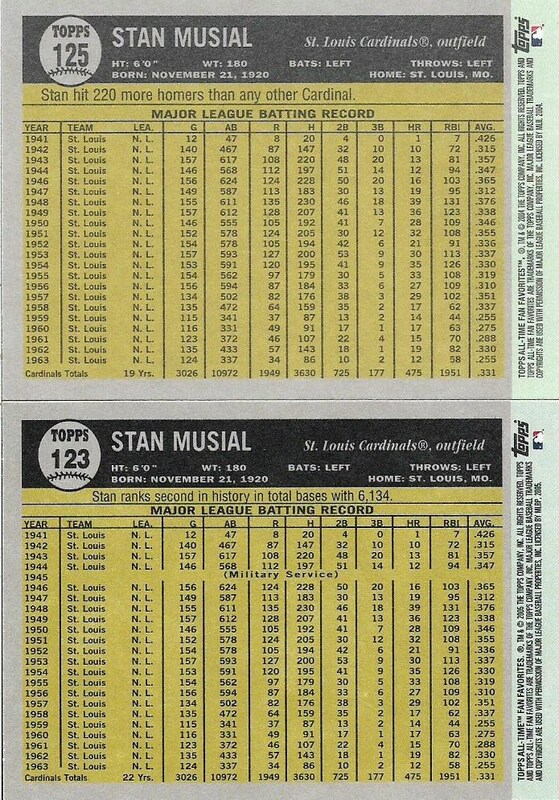 Topps noted Musial's military service on one card and left it out on another. Oscar Gamble and Steve Carlton get one Fan Favorite card and Paul flipping O'Neill gets three. There is no justice. O'Neill's best card is the 2003 card from the year he helped the Yankees win the World Series (1998). I would've replaced O'Neill's 2005 card with the 2001 design for a 1994 design as he led the league in batting that year. Cal on the base paths!!!! ... Like with Gwynn, Topps was obsessed with Ripken's final seasons, I don't know why. The 2005 card of the 2001 design (Ripken's last year) gets the nod only because the inset photo on the 1983 design is from Topps' 1984 all-star card of Ripken and does not compute! 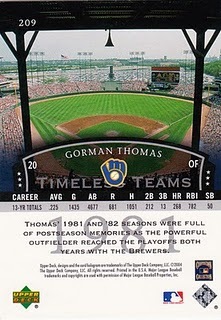 Also, a card with a 1995/96 design would have been nice as he broke Lou Gehrig's record in late 1995. 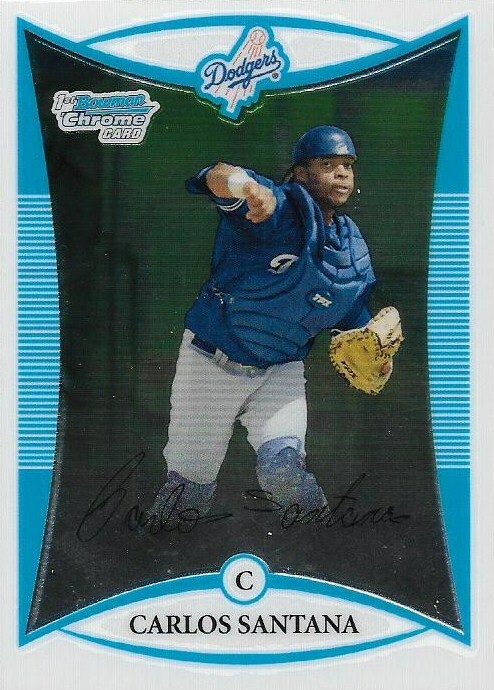 The 2003 Fan Favorites Robinson card might be the worst card in the set in terms of proper time placement. That's an old Robinson pictured during a set issued during his MVP season (1964) nine years into his career. There has to be 12 years difference between the design and the photo. The 2003 card with the 1966 design is not right at all. Robinson is older in that photo than he is on the 2005 '71 card. The 2005 card shows Robinson's picture from his 1968 all-star card. So with the O's cards in disarray, the Reds Robinson card steps in for the win. I am so over Nolan Ryan as a Ranger and have been since the early '90s. Where is Ryan as a Houston Astro here??? I would have been happy to select the '79 style Ryan, but he had a bunch of 300-strikeout seasons in the '70s and 1979 wasn't one of them. You can't go wrong with the giant rookie trophy. The Santo on the 1965 design looks a little young for that period. Either that or the '66 design Santo look a little old for that period. Good to see the cubby bear is featured in each one. Seeing Schmidt without a mustache is odd, so seeing him on 2 of the 3 cards without a mustache is unsettling and basically because we have to be all rookies all the time. Schmidt was still trying to figure things out in those two photos on the right. I prefer the 1980 design, when he was the MVP ... and had a mustache. I'm fairly certain the 2003 '69 design is just Seaver's 1970 Topps card with a slightly different crop. ... 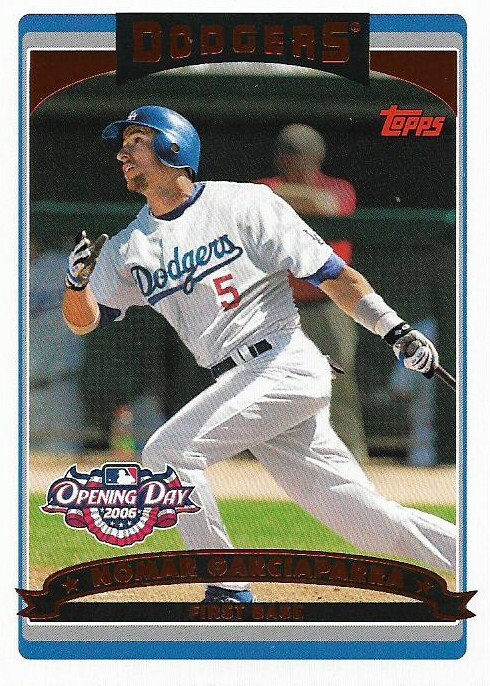 I detest the 2005 '77 card for the same reason I didn't like capless cards when I was a kid. Bleah. 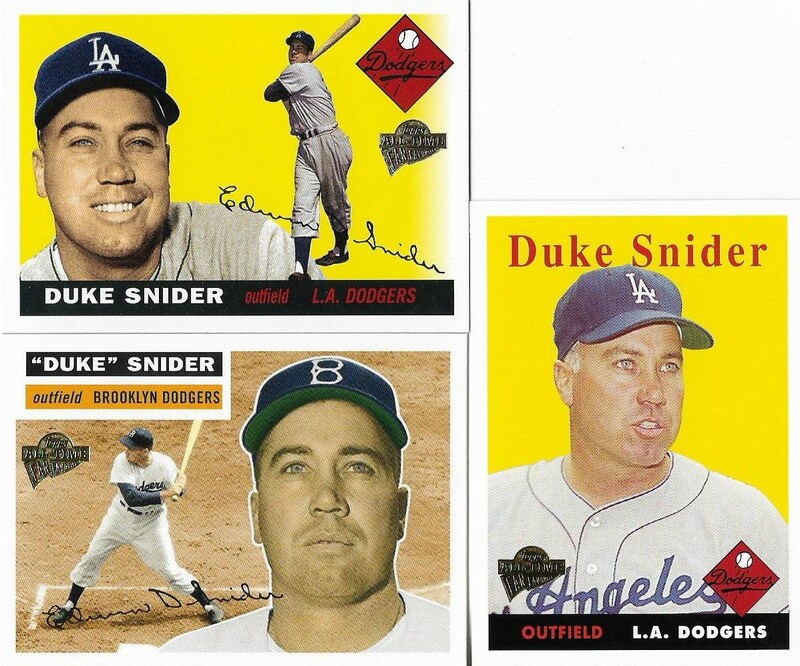 Anything from the mid-1950s is good for Snider. Right in his peak years. The 2005 '58 card is from Snider's first year in L.A. 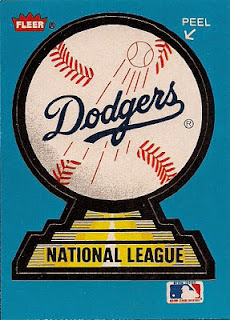 It's only notable because it's odd to see an actual L.A. cap on a 1958 design instead of the paint jobs on Dodgers' caps that year. 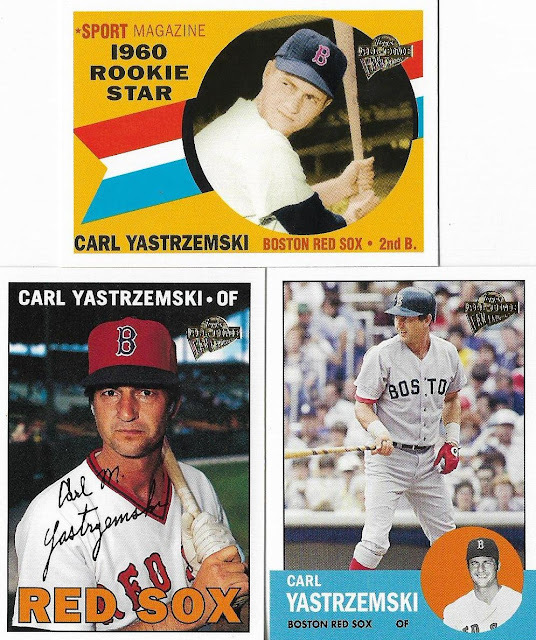 Two of the Yaz cards are all wrong. Let's start with the most painful: the Red Sox's red caps were almost 10 years from being born when the 1967 card set was out. Also, the 2005 card with the 1963 design features a much older Yaz and in '63 the action shot was in the inset! Congrats, 2004 rookie Yaz, you win. That's all of them. Phew! 2004 Topps Fan Favorites is the winner! 2004 has always been my favorite because it's the set that brought me back to collecting modern cards. So that kind of proved absolutely nothing, but I thought it was a fun exercise. And for all 2.5 of you who read to the end, here is the list of each Fan Favorite and how many cards they received in the series. After this I think I'm done writing about Fan Favorites for awhile.